Airbus and Boeing currently build the biggest passenger airplanes in the world, with the mighty Airbus A380-800 and its rival the Boeing 777-300, while Russia's Ilyushin also stands out as the only other company to make the list. Aerospace-technology.com lists the top ten biggest passenger airplanes in the world, ranked by seating capacity. A380-800 aircraft developed by Airbus is the largest aircraft in the world to date with an 853 passenger seat capacity. Image courtesy of Airbus. 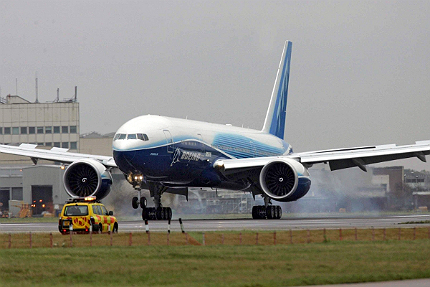 The first Boeing 777-300 aircraft was delivered in May 1998. Boeing 747-400 is the most popular aircraft in the Boeing 747 family. Airbus A340-600 is a super-stretched version of the A340 family. Image courtesy of Airbus. 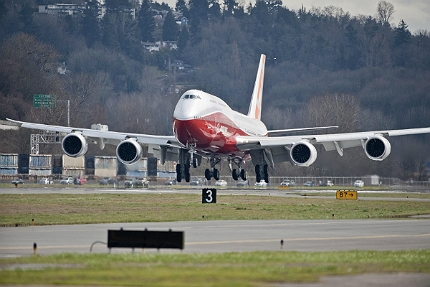 The maiden flight of Boeing 747-8 Intercontinental was completed in March 2011. 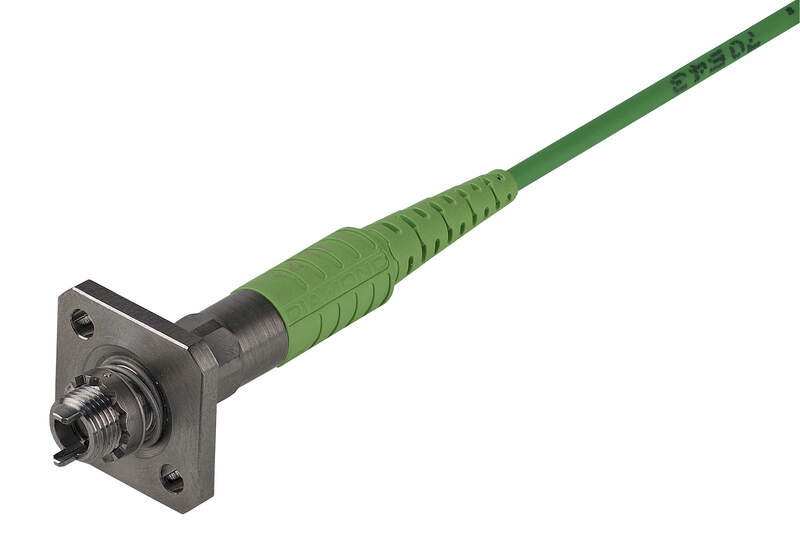 Image courtesy of Boeing. Boeing 777-200 is the first variant in 777 series. Image courtesy of Boeing. The A330-300 aircraft first entered into service in 1994. Image courtesy of Airbus. The A340-300 aircraft is equipped with four CFM56-5C4 engines. Image courtesy of Airbus. The A340-500 aircraft obtained EASA certification in December 2002. Image courtesy of Airbus. 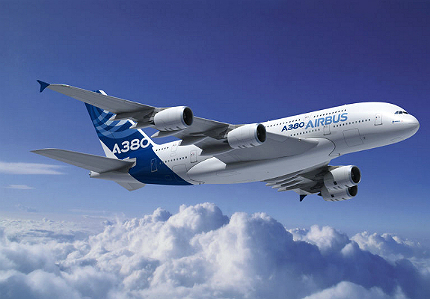 The A380-800 from Airbus tops the list, with a massive seating capacity of 853 passengers. Rightly dubbed as the Superjumbo, it accommodates 525 passengers in a three-class configuration. The cabin consists of main and upper decks. The main cabin deck is 49.90m long and 6.54m wide, while the upper deck is slightly narrower with a length of 44.93m and width of 5.80m. The A380-800 was launched in December 2000 and made its first flight at Blagnac Airport, Toulouse, in April 2005. The first A380-800 was delivered to launch customer Singapore Airlines in October 2007. The power plant of the world’s biggest passenger aircraft includes either four Rolls-Royce Trent 900 engines or four Engine Alliance GP7200 engines. Cruising at a speed of 587mph (945km/h) or Mach 0.89, it can reach a range of up to 8,477nm (15,700km). Boeing 777-300 offers a maximum seating capacity for 550 passengers, ranking as the world’s second biggest airplane in the passenger aircraft category. It offers 368 seats in a three-class configuration. The production of Boeing 777-300 aircraft was approved in June 1995, and the first aircraft was delivered in June 1998 to Cathay Pacific. 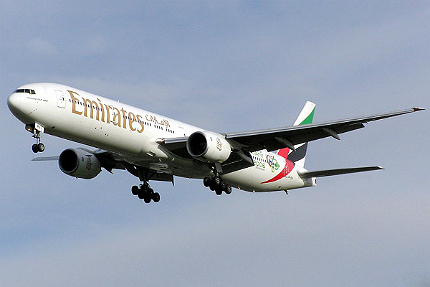 The aircraft is the latest derivative of the Boeing 777 programme, which was initiated in October 1990. The 777-300 can cruise at a speed of Mach 0.84 (892km/h) at 35,000ft altitude. The twin-engine aircraft is available with three engine options, including Pratt & Whitney 4098 with a thrust of 98,000lb, Rolls-Royce Trent 892 with a thrust of 90,000lb and General Electric 90-94B, with a thrust of 93,700lb. 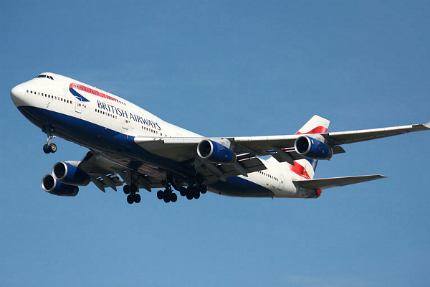 Boeing 747-400 is the most favourite aircraft in the Boeing 747 family worldwide. It features a seating capacity of 524 in typical two-class configuration and 416 in a three-class configuration. The cabin is spacious with an interior width of 6.1m. Boeing 747-400 was incorporated with major aerodynamic improvements over its previous 747 models. The aircraft completed maiden flight in April 1988 and first entered into service with Northwest Airlines in 1989. The aircraft is powered by four General Electric GE CF6-80C2B5F engines rated at 62,100lb each. The maximum cruising speed of the aircraft is 567mph (913km/h) and the service ceiling is 35,000ft. The A340-600 developed by Airbus has a seating capacity of 475 passengers. It can accommodate 380 passengers in typical a three-class configuration. The maximum length and width of the cabin are 60.98m and 5.28m respectively. The A340-600 has the longest-fuselage among the A340 Family aircraft. The first flight of the aircraft was completed in April 2001. Virgin Atlantic Airways was the launch customer, which received the first A34-600 aircraft from Airbus in August 2002. The aircraft is powered by four Rolls-Royce Trent 556 engines, which can develop a thrust of 53,000lb to 56,000lb. The maximum cruising speed of the aircraft is 543mph (881km/h) at Mach 0.83. 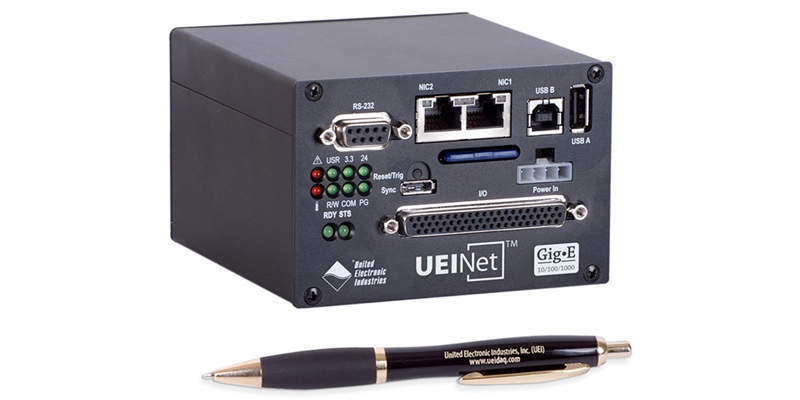 The range is 7,900nm (14,600km) and the service ceiling is 41,000ft. The Boeing 747-8 Intercontinental (747-8I) accommodates a maximum of 467 passengers in three-class configuration. It has a maximum cabin width of 6.1m. It is the largest passenger aircraft version in the 747 series. The maiden flight of the aircraft took place in March 2011. The aircraft entered into service with the launch customer Lufthansa in June 2012. The passenger airplane has a maximum range of 8,000nm (14,815km). It is fitted with four General Electric GEnx 2B67 engines, which are rated at 66,500lb each. The maximum cruising speed is 570mph (917km/h) and the service ceiling is 49,000ft. The Boeing 777-200 with a maximum seating capacity of 440 is currently the sixth biggest passenger aircraft in the world. It offers 305 and 400 seats respectively in the three-class and two-class configurations. The aircraft has an interior cabin width of 5.86m. Boeing 777-200 was the first variant in the Boeing 777 aircraft series. The aircraft flew for the first time in December 1994 and entered into service in May 1995. 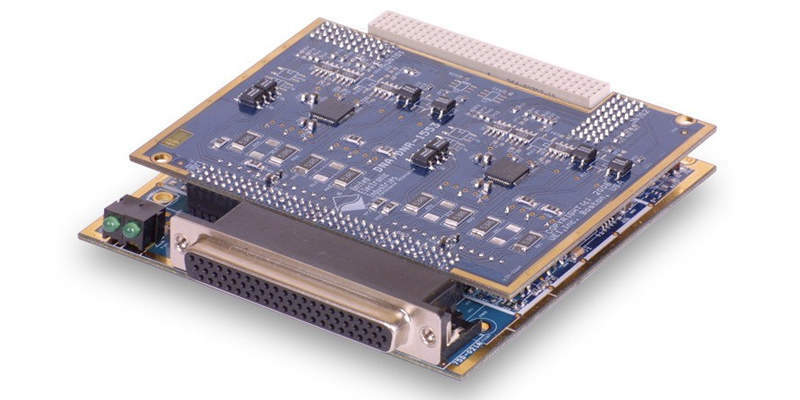 The twin-engine jet is available with three engine options, which include Pratt & Whitney 4077, Rolls-Royce Trent 877 and General Electric GE90-77B. The aircraft can cruise at a maximum speed of 560mph (905km/h) at Mach 0.84. The maximum range and service ceiling are 5,240nm (9,700km) and 43,000ft respectively. 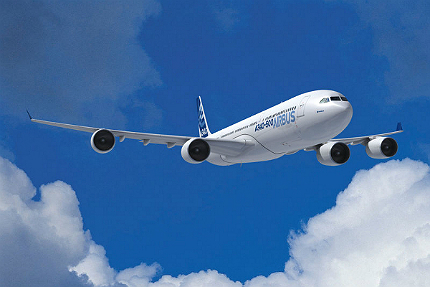 Airbus A330-300 is the most economical mid-size aircraft with a fair balance between range and cost. It entered into service in 1994. 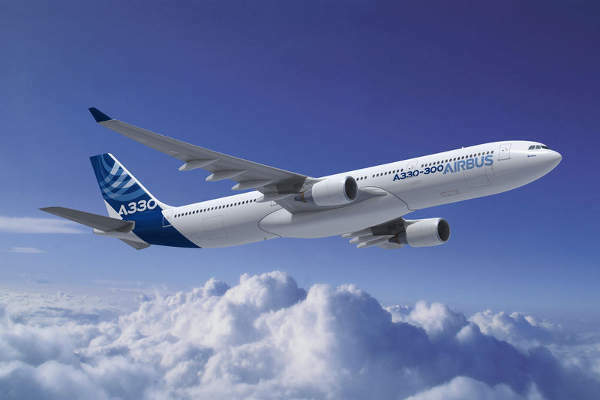 The A330-300 provides seating for up to 440 passengers with 300 seats available in a two-class configuration. It has a maximum cabin length of 50.35m and cabin width of 5.28m. The aircraft has a range of 6,400nm (11,300km) and maximum cruise speed of 541mph (871km/h) at Mach 0.82. It is powered by two engines of General Electric CF6-80E1 or Pratt & Whitney PW4000 or Rolls-Royce Trent 700 make. The aircraft has a service ceiling of 41,100ft. The A340-300 is a variant of the A340 family developed by Airbus. The passenger jet has a maximum passenger seating capacity of 440. It offers 295 seats in a three-class configuration. It has a maximum cabin length of 50.35m and width of 5.28m. The first flight of the A340-300 was completed in October 1991, and the aircraft entered into service in March 1993. The jet cruises at a speed of Mach 0.86 powered by four CFM56-5C4 engines which generate a thrust of 151kN each. The aircraft has maximum range of 7,400nm (13,700km) and service ceiling of 41,100ft. The Il-96-400 is a Russian long-haul wide-body aircraft manufactured by Voronezh Aircraft Production Association. It is the latest version of the Il-96 family, which was designed by Ilyushin. The aircraft is based on the Il-96M/T fuselage. The aircraft offers seating for 436 passengers in the single class configuration. It accommodates 386 passengers in the two-class configuration and 315 in the three-class configuration. The maximum range of the Il-96-400 is 5,400nm (10,000km). The aircraft is powered by four Aviadvigatel PS-90A1 engines which generate a maximum take-off thrust of 35,274lb each. The Il-96-400 has a cruise speed of 870km/h and service ceiling of 39,370ft. The A340-500 combines performance, comfort and capacity for highly efficient ultra long-haul operations. The aircraft can accommodate a maximum of 375 passengers. It has a typical three-class configuration with 313 seats. The cabin has a maximum length of 53.56m and width of 5.28m. The A340-500 completed its maiden flight in February 2002 and entered into service with launch customer Emirates in December 2003. The aircraft is powered by four RR Trent 500 engines, which generate a thrust of up to 249kN each. The maximum operating speed of the aircraft is Mach 0.86 and the range is 9,000nm (16,670km). Researchers from the University of Southampton could be a step closer to understanding how turbulent air flows influence the performance of aircraft. Getting to grips with graphene: aviation’s revolution? 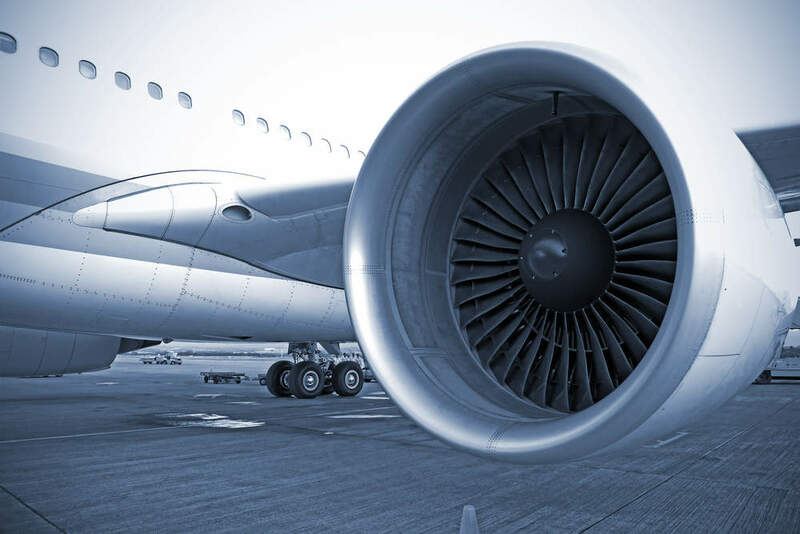 Graphene, the multipurpose miracle material first manufactured at Manchester University, has been vaunted as potentially revolutionary for the aviation industry.